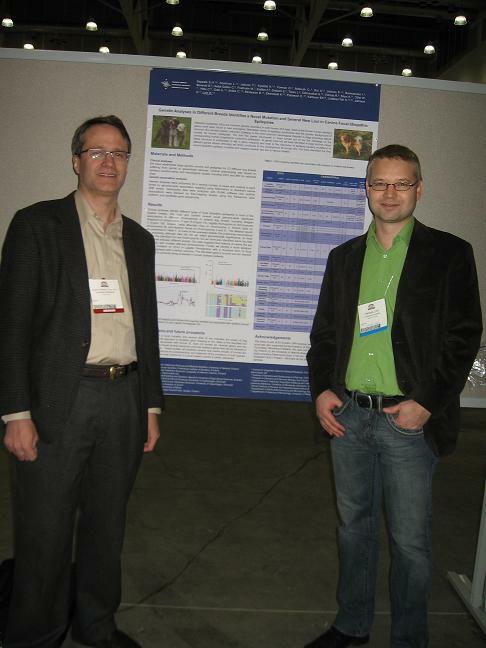 Pamela Douglas, President of Toby’s Foundation represented canine epilepsy at the AES conference in Boston, MA in December 2009 shortly after Toby’s death due to this disease. The AES annual meeting attracted some 4.000 participants from around the globe. 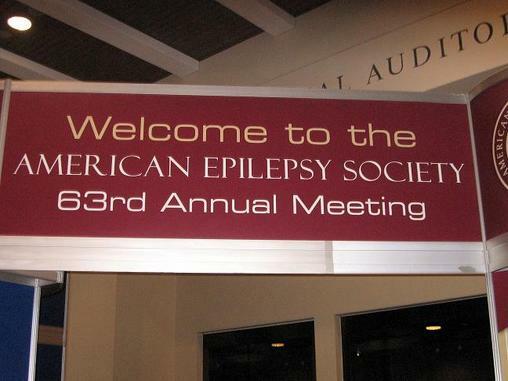 The Society promotes research and education for professionals dedicated to the prevention, treatment and cure of epilepsy. Even though there were only a few of us present for canine epilepsy, this was a very important meeting to attend for anyone interested in epilepsy…as Dr. Patterson said to me “Same disease different species”. Pamela Douglas met with Dr. Ned Patterson of UMIN at the AES meeting. Dr. Patterson is the principal investigator on the Canine Health Foundation grant that Toby’s Foundation co-sponsors for the Australian Shepherd. 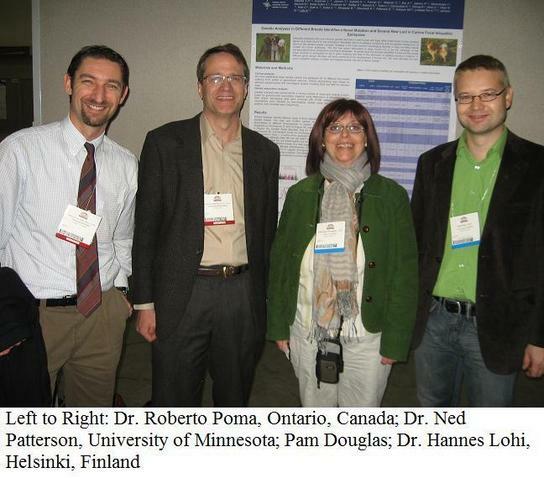 Pam Douglas and Dr. Patterson discussed epilepsy research in general and Aussie research in particular. More Aussie samples will be analyzed in the coming months using a more powerful SNP array that recently became available.